Casablanca (Arabic: الدار البيضاء‎, ad-dār al-bayḍāʾ‎; Berber: ⴰⵏⴼⴰ; local informal name: Kaẓa), located in the central-western part of Morocco bordering the Atlantic Ocean, is the largest city in Morocco. 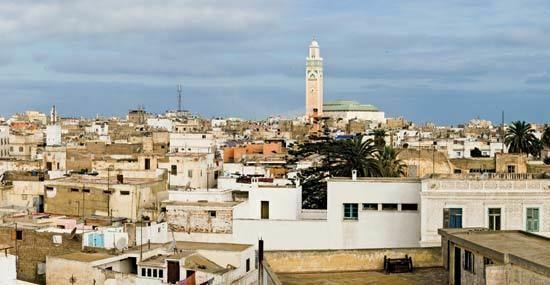 It is also the largest city in the Maghreb, as well as one of the largest and most important cities in Africa, both economically and demographically. The leading Moroccan companies and international corporations doing business in the country have their headquarters and main industrial facilities in Casablanca. 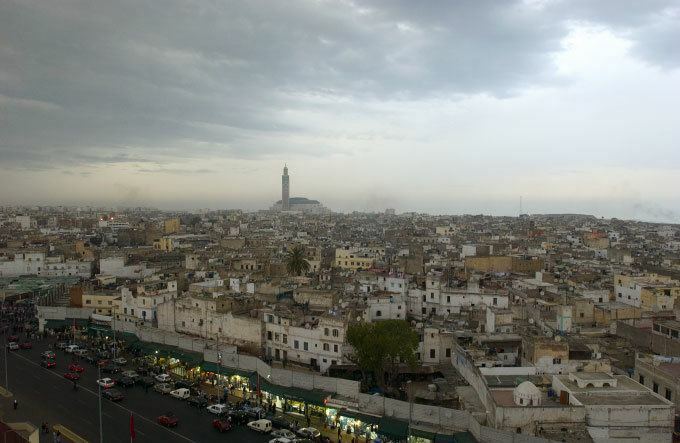 Recent industrial statistics show Casablanca retains its historical position as the main industrial zone of the country. The Port of Casablanca is one of the largest artificial ports in the world, and the second largest port of North Africa, after Tanger-Med 40 km east of Tangier. Casablanca also hosts the primary naval base for the Royal Moroccan Navy. 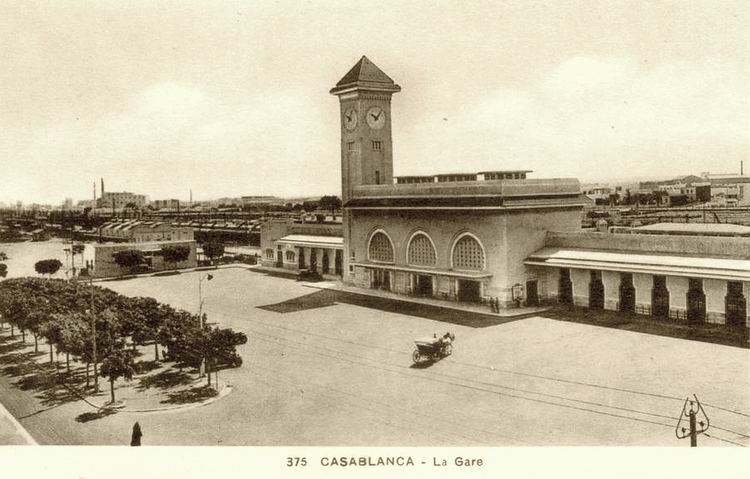 The original name of Casablanca was Anfa, in Berber language, by at least the seventh century BC. After the Portuguese took control of the city in the 15th century AD, they rebuilt it, changing the name to Casa Branca. It derives from the Portuguese word combination meaning "White House" (branca "white", casa "house"). The present name, which is the Spanish version (pronounced [kasaˈβlaŋka]), came when the Portuguese kingdom was integrated in personal union to the Spanish kingdom. 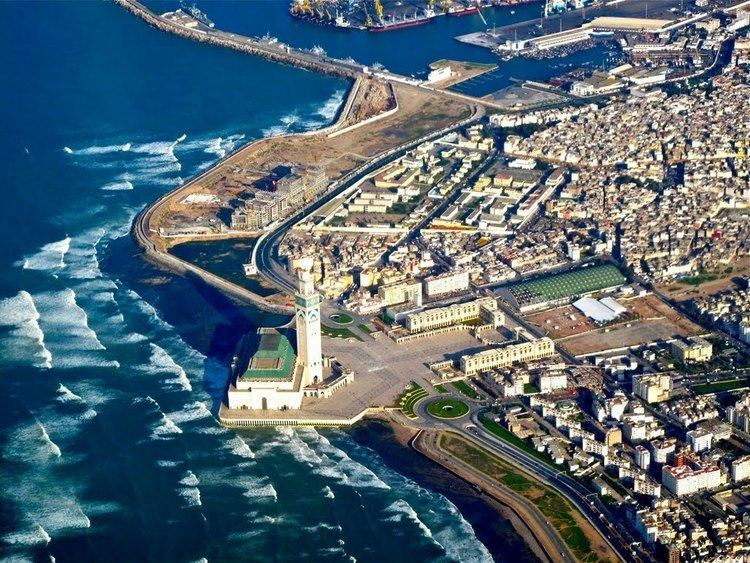 During the French protectorate in Morocco, the name remained Casablanca (pronounced [kɑzɑblɑ̃kɑ]). In the 18th century, an earthquake destroyed most of the town. It was rebuilt by the Sultan who changed the name into the local Arabic which is Ad-dar Al Baidaa', although Arabic also has its own version of Casablanca (كازابلانكا, Kāzāblānkā). The city is still nicknamed Casa by many locals and outsiders to the city. In many other cities with a different dialect, it is called Ad-dar Al-Bida, instead.